WASHINGTON - The nation's first new nuclear power plant in a generation won approval Thursday as federal regulators voted to grant a license for two new reactors in Georgia. The Nuclear Regulatory Commission voted 4-1 to approve Atlanta-based Southern Co.'s request to build two nuclear reactors at its Vogtle site south of Augusta. The NRC last approved construction of a nuclear plant in 1978, a year before a partial meltdown of the Three Mile Island nuclear plant in Pennsylvania raised fears of a radiation release and brought new reactor orders nearly to a halt. NRC Chairman Gregory Jaczko voted against the Vogtle license, saying he wanted a binding commitment from the company that it would make safety changes prompted by the March 2011 nuclear disaster in Japan. "We've given them a license. They have not given us any commitment they will make these changes in the future," Jaczko said. The meltdown at the Fukushima Dai-ichi plant led to a series of recommendations by the NRC to improve safety at the 104 commercial nuclear reactors in the U.S. The changes are intended to make the plants better prepared for incidents they were not initially designed to handle, such as prolonged power blackouts or damage to multiple reactors at the same time. The changes are still being developed, though Jaczko said it is clear that they will be required by the NRC before the new reactors open in 2016 or 2017. Despite his opposition to the license, Jaczko called the vote "historic" and a culmination of years of work by Southern Co. and the NRC. Southern Company Chairman and CEO Thomas A. Fanning called the NRC vote "a monumental accomplishment for Southern Company, Georgia Power, our partners and the nuclear industry." Fanning said the company was "committed to bringing these units online to deliver clean, safe and reliable energy to our customers." "The project is on track, and our targets related to cost and schedule are achievable," Fanning said. Marvin Fertel, president of the Nuclear Energy Institute, an industry lobbying group, said the NRC vote "sounds a clarion call to the world that the United States recognizes the importance of expanding nuclear energy as a key component of a low-carbon energy future that is central to job creation, diversity of electricity supply and energy security." Allison Fisher, an energy expert for the consumer advocacy group Public Citizen, called the NRC's action  less than a year after the Japan crisis  a step in the wrong direction. "It is inexplicable that we've chosen this moment in history to expand the use of a failed and dangerous technology," she said. While other countries such as Germany are reversing their commitment to nuclear power, "the U.S. is approving new reactors before the full suite of lessons from Japan has been learned and before new safety regulations that were recommended by a task force established after the meltdown crisis at Fukushima have been implemented," Fisher said. 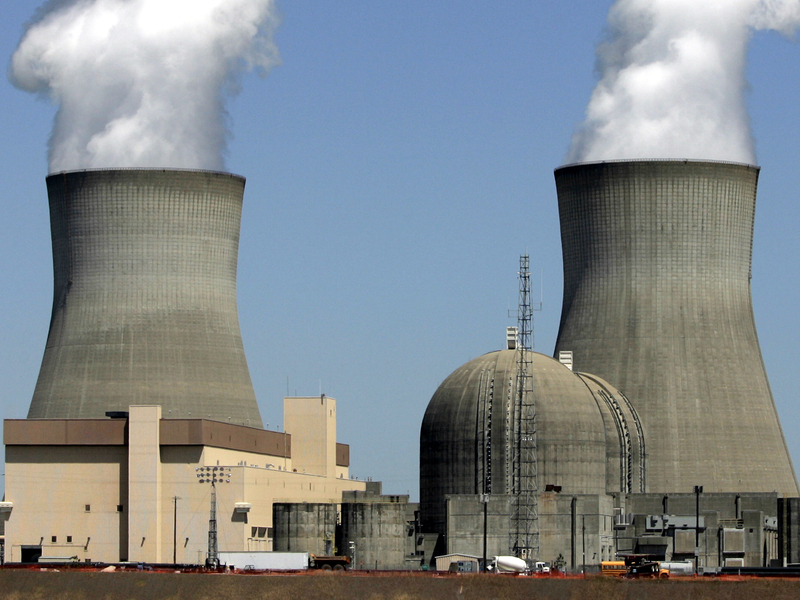 The NRC approved a new reactor design for the Vogtle plant in December. Utility companies in Florida and the Carolinas also plan new reactors that use the same design by Westinghouse Electric Co. The planned reactors are remnants of a once-anticipated building boom that the power industry dubbed the "nuclear renaissance." President Barack Obama has offered the Vogtle project $8.3 billion in federal loan guarantees as part of its pledge to expand nuclear power. Obama and other proponents say greater use of nuclear power could cut the nation's reliance on fossil fuels and create energy without producing emissions blamed for global warming. A new government permit process strongly encourages utilities to use pre-approved reactor designs rather than building custom models, a strategy intended to make construction easier and less expensive. The once hoped-for boom has been plagued by a series of problems, from the prolonged economic downturn to the sharp drop in the price of natural gas, due in part to improved drilling techniques that have allowed energy companies to tap previously unavailable underground shale formations. The Vogtle project is considered by many observers to be a major test of whether the industry can build nuclear plants without the delays and cost overruns that plagued earlier rounds of building decades ago. Close on the project's heels is South Carolina Electric & Gas Co., which is seeking permission to build two reactors at an existing plant in Jenkinsville, S.C.